WARRANTY RECORDS FULL LEATHER 3RD ROW AUTO CLIMATE CONTROL 20" FACTORY WHEELS TOW PACKAGE TRIPLE BLACK TINTED GLASS 8-PASSENGER!! 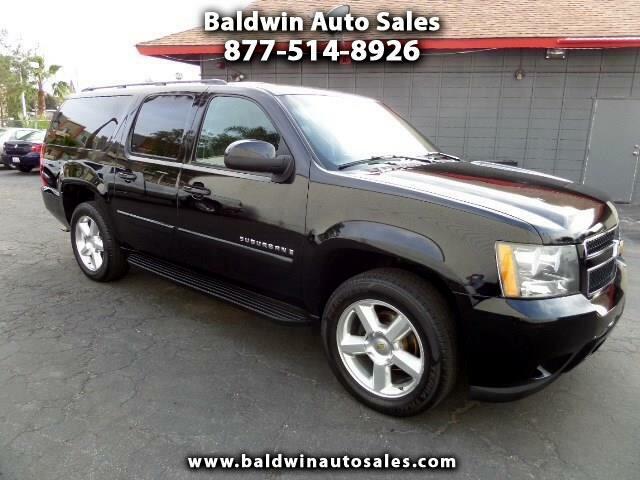 WOOD TRIM ALL BOOKS ALL ORIGINAL EXCELLENT CONDITION This Suburban is very sharp in jet black and has seating for 8 adults in style and luxury. All the power options, remote start from the keyfob, meticulous service records, and alarm. This one is ready to turn key and enjoy. A 5year/100k mile additional service contract is available and can be used at any Chevy dealer nationwide. Priced well below KBB and Carfax suggested retail for this year, mileage, and condition.